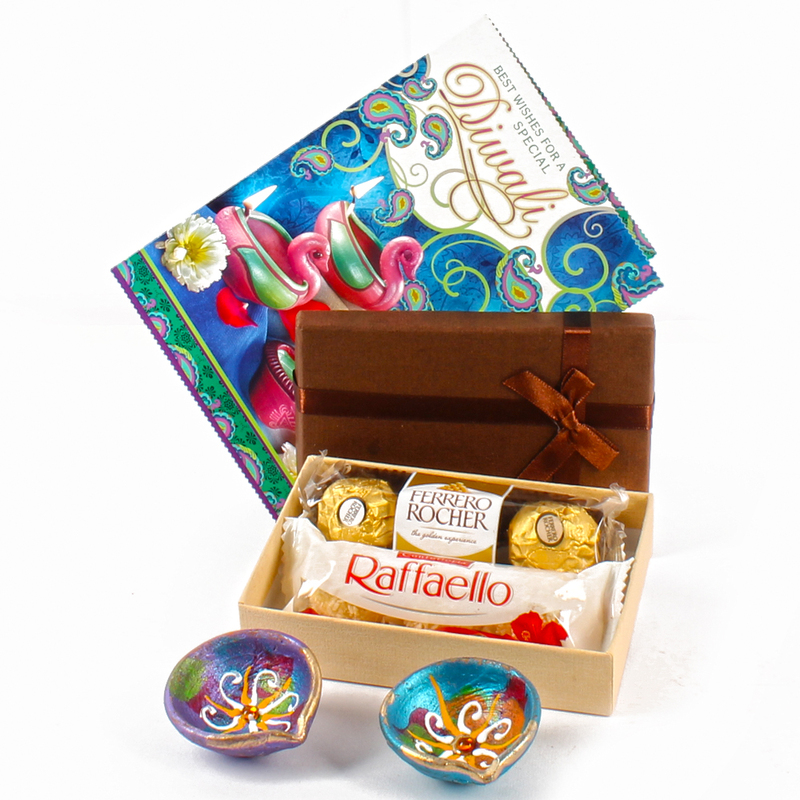 Product Consists : 3 Pcs of Ferrero Rocher and 3 pcs of Raffaello Chcocolate packed in Gift Box along with Set of 2 Earthen Diyas and Diwali Greeting Card. 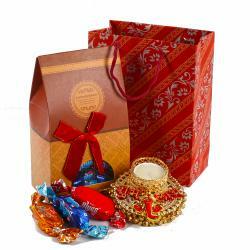 Give your loved ones a reason to smile by treating them to this splendid gift hampers brought to you by Giftacrossindia. 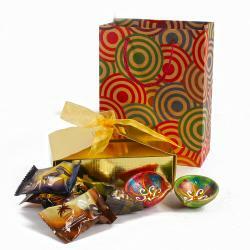 The hamper comprises of a stunning Rich Ferrero Rocher and Raffaello Chcocolate nicely packed in a Gift Box along with Set 2 of Earthen Diyas. Express your heartfelt wishes for your loved ones on the auspicious occasion for Diwali with this appealing greeting card. 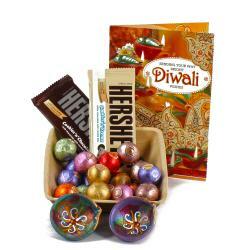 You can send this delightful hampers to your loved ones online on occasion like Diwali , New year and so on. 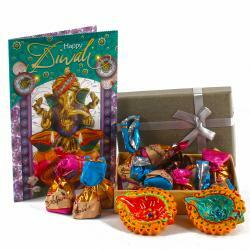 Product contains : 3 Pcs of Ferrero Rocher and 3 pcs of Raffaello Chcocolate packed in Gift Box along with Set of 2 Earthen Diyas and Diwali Greeting Card.